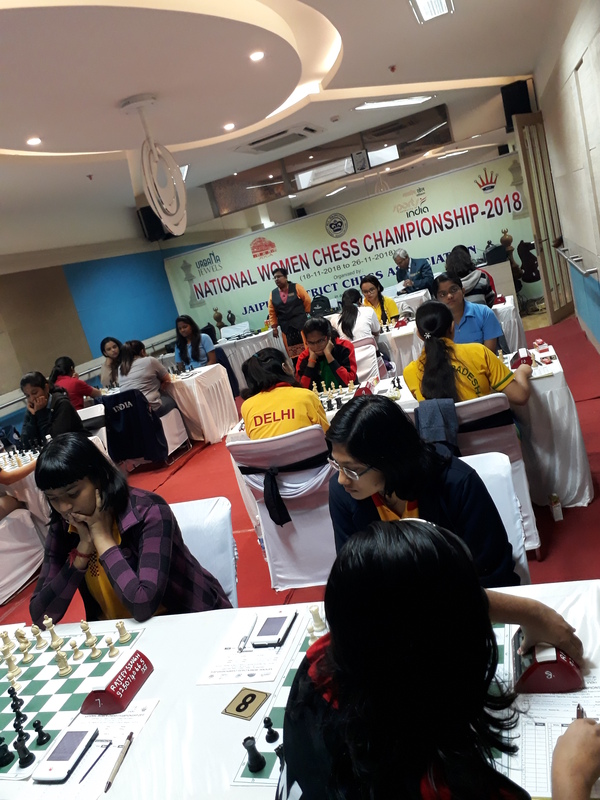 WIM Mahalakshmi M of Railways emerged as the sole leader with 4.0/4 points in the National Women Chess Championship-2018 being held at the Diamond, Urbana Housing Society, Jaipur, Rajasthan. Two rounds were played on Monday. Twenty-three players were in the lead with perfect score at the end of the 2nd round. 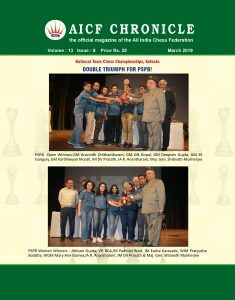 Shetye Siddhali of Maharashtra drew with WGM Meenakshi S of Air India in 52 moves. 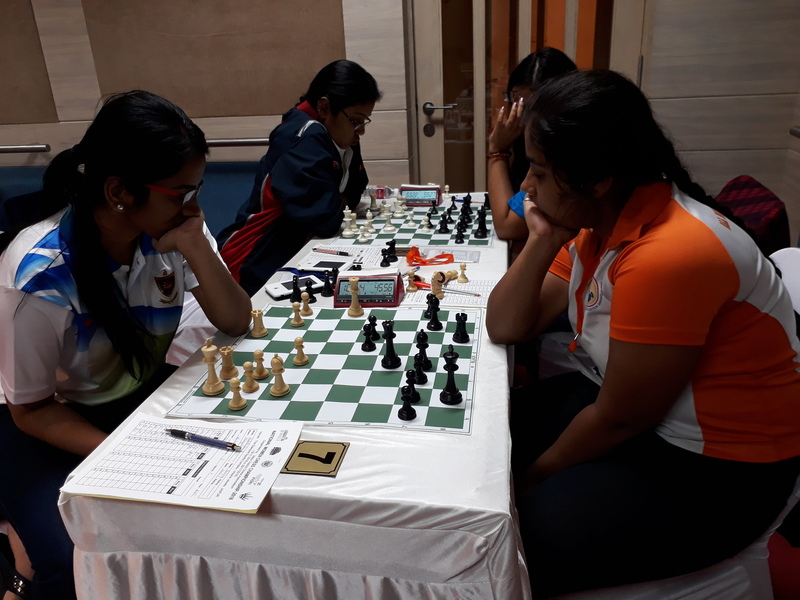 In the 3rd round Jyothsna L (TN), drew WGM Gomes Mary Ann (PSPB) IM Mohota Nisha was held to a draw by Harini S(TN) and Priyanka kumari (JHA) drew with WGM Kulkarni Bhakti (AI). 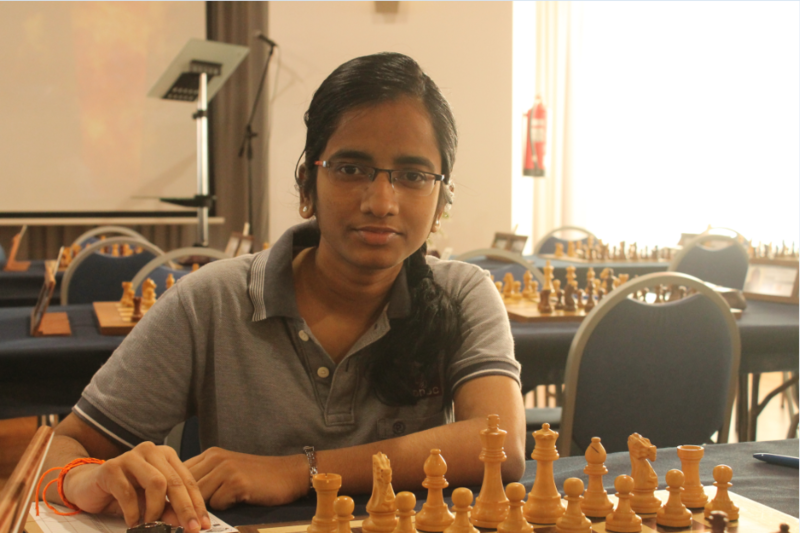 Seven players including the top-seeded IM Vijayalakshmi shared the lead with full 3 points. At the end of 4th round, WIM Mahalakshmi M (RSPB) beat Andria L D’souza (KAR) and took sole lead with 4 points. Kiran Manisha Mohanty(LIC) drew with IM Vijayalakshmi (AI). On the second table, Deodhar Vrushali (MAH) drew with WGM Swati Ghate (LIC). Ten players are trailing behind the leader with 3.5 points each. Next Next post: Mary Ann Gomes is the leader after 6th round.